The American Registry for Diagnostic Medical Sonography (ARDMS) offers assessments and credentialing for medical sonographers, and the Sonography Principles & Instrumentation (SPI) Examination is one of the assessments offered. 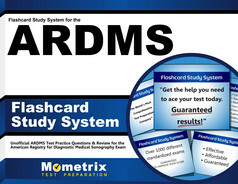 If you already have a credential for RDMS, RDCS and/or RVT, you do not have to take this test to keep your credential updated; this test is used to meet mandated benchmarks for achieving these credentials. 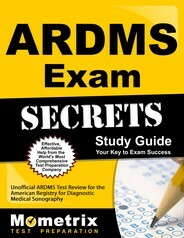 A sonography expert that desires the ARDMS credential needs to successfully complete the SPI assessment, along with other qualifying assessments. After the SPI has been successfully finished, other credentials may be obtained. Candidates that successfully pass this exam will not need to take any more physical principles and instrumentation assessments. This assessment covers foundational physical principles and instrumentation that is needed for anyone studying to become an expert in sonography. This is a criterion-referenced test. Around 15% of the test questions are not counted as part of the total grade, but are used as pre-trial questions for future exams. The student will not know which questions count towards the final score and which do not. The final score will be within the 300-700 range. Candidates must receive a minimum score of 555 to be successful. A candidate may re-take the test if unsuccessful, but must wait 60 days to retake the test. Before taking this assessment, a candidate must have fulfilled the academic requirements of classes, clinical work and mandated paperwork, which must be finished and accepted prior to the exam. If the test is being retaken and the candidate’s clinical verification was completed in the same year, the candidate does not have to go through the approval process again. If it has been more than a year, the candidate will need an updated clinical verification.